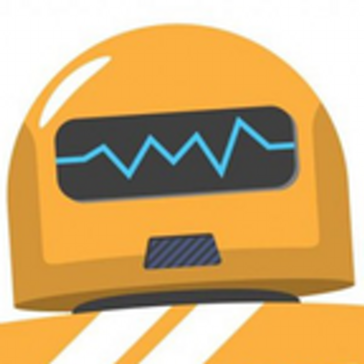 "Friendly robot with good amount of plugins"
Hubot has a very approachable learning curve, and a nice plugin ecosystem. The architecture is easy to understand and we found Hubot to be a very valuable tool in developing prototypes and proof of concepts quickly. Pre packaged adapters worked out of the box as advertised and abstract away the APIs of the messaging services. The hubot plugins and examples contain a lot of coffeescript, a language that I personally dislike, and as late 2018 its adoption is not as widespread as it used to be. I reccomend hubot to anybody which needs to get a quick start in chatbot implementation. Be aware of coffescript. I was able to build a proof of concept chatbot integrated with wit.ai which was presented at the codemotion 2017 conference in Milan as a "getting started" talk. I have been able to put together a tutorial and a sample application in my spare time at work, which is not a lot, and without Hubot that would have been impossibile. "Hubot helps bridge chat and ops." Flexibility, any hubot instance can do a variety of things. If you host within your own infrastructure the sky is the limit. Initial setup can be tricky with all the tokens to generate. If you are behind a firewall you cannot use the web hook functionality without poking a hole or setting up some sort of repeater. Read the plugins, install within your own infrastructure, use promises. I can ask hubot where an application lives within our infrastructure, I can ask hubot to kick off deploys, check on status, and a variety of other things. This allows me to not leave slack, or provide artifacts for others to debug issues. "Great tool if you need to add multiple, complex commands to your slack team"
Hubot is super customizable and has many addons that will do pretty much anything that you could ever need to do with Slack - from redeploying your services to automatically posting fun memes. Hubot isn't very lightweight if you only need to do one or two things with Slack - by default, it comes with many extra fun features, that aren't very useful. We mainly use Hubot to automatically deploy in-progress git branches to our various tests environments for QA (since our app is too distributed to be run locally, and we haven't jumped on the Docker hype train just yet).